I wanted to highlight an old post today. P mentioned to me that I should write something about the Royal Massacre since 11 years ago today it took place. I wrote about this a while ago, so please excuse the recycling, but I think it’s an important enough topic to rehash. So now we are up to the point where Birendra, grandson of Tribhuvan (who re-took the throne), is now king. He began his reign in 1972 after his father Mahendra’s death. 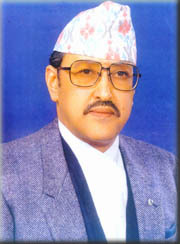 Birendra was the first Nepali monarch to receive a formal education, studying abroad in India, the UK, Japan and even at Harvard University (from 1967-1968). Upon his return he married Aishwarya Rana (yes from that Rana family) in 1970 and had three children: Prince Dipendra (1971), Princess Shruti (1976) and Prince Nirajan (1977). He ascended to the throne as an absolute monarch, inheriting a country with banned political parties, and ruling through the panchayat system. 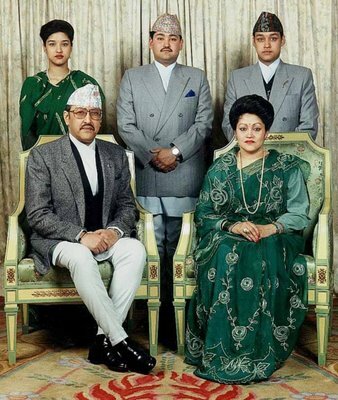 In 1990 a series of strikes and pro-democracy riots broke out across Nepal, and due to this Birendra eventually agreed to become a constitutional monarch. He appointed a Constitution Recommendation Commission, and November 9, 1990 the new constitution was approved by the Prime Minister. However quarrels continued leading to the Nepali Civil War between the Maoists and government forces between 1996 and 2006 (a post all of its own). Which leads me to the massacre. I’m not sure if we will ever really know what happened the night of June 1, 2001. Much like the American conspiracy theories of who assassinated President Kennedy, different theories about the Royal Massacre abound. The fact of the matter is—the Nepali Royal Massacre was the largest slaughter of a royal family since the shooting of the Romanov family during the Russian Revolution. The more widely known story: Prince Dipendra was a bit of a troubled youth. Prone to drinking with a keen interest in all things military and a short temper. Not long before the massacre, Dipendra had been arguing with his parents over the choice of his bride. Dipendra wanted to marry his girlfriend Devyani Rana (also a member of the Rana family). Dipendra’s mother was against this match (due to the historical animosity between the king’s family and the Ranas… although Queen Ashiwara was also a Rana, so I’m sure I’m missing part of the story…) Tempers flared. On the night of June 1st much of the royal family gathered for an evening together including uncles, aunts and cousins. 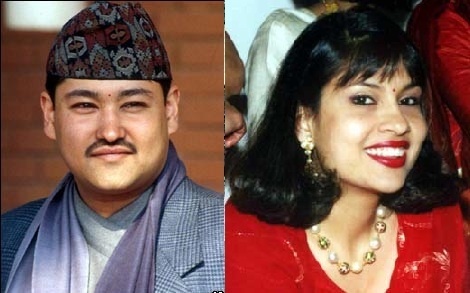 Missing from the party was Prince Gyanendra, younger brother to the king and potential heir (if Birendra and his two sons could no longer perform the duties as king). Following an evening of heavy drinking, and still angry at his family, Dipendra was upset when he was scolded by his father for “misbehaving” at the gathering and told to leave the party. An hour later Dipendra showed up dressed in military fatigues with an MP5K and M16 and started shooting up the room, killing his father, sister, uncle, aunts, and a few other family members while wounding several others. His mother and brother escaped the room but confronted the prince in the garden, where he killed both of them, shooting the queen multiple times in the face (it was so badly damaged that her face was covered with a mask for the cremation ceremony). Before any guards arrived Dipendra turned the gun on himself. Prince Dipendra survived his suicide attempt for three days, and was proclaimed king while in a coma. He died on June 4, 2001. While Dipendra lie in his coma his uncle Gyanendra (remember, the one conveniently missing from the party?) maintained the deaths were an “accident” but once Dipendra had died full blame was placed on him. The country went through a period of national mourning—many people including P’s dad—shaved their heads as a symbol of death in their family, since the king was the “father” of the nation and revered as a god. The country was already embroiled in a civil war, and now they were without a symbolic figurehead. Some people in Nepal suspected that Gyanendra was responsible for the massacre, and that Dipendra was blamed so that Gyanendra could take the throne. He was third in line to the throne (after Birendra, Dipendra and Prince Nirajan) and had been conveniently out of town during the party. It’s true that his son and wife were at the party and were wounded, but both survived (his son with only minor injuries). Feeding these rumors is the allegation that Dipendra was mortally wounded by a gunshot to the left side of his head, while he was right-handed, casting doubt on whether the injury was self-inflicted. Two survivors have publicly confirmed that Dipendra was the shooter, but many Nepali people still consider it a mystery. 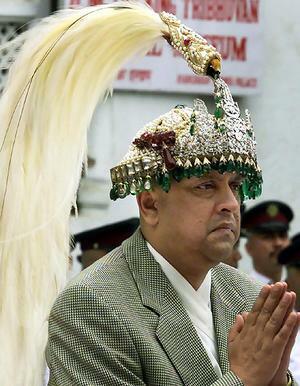 Gyanendra assumed the throne and was king until 2008 when he was forced to abdicate due to social pressure and rioting. Now people have their theories—but I was at the former Royal Palace in the summer of 2009 and went on a tour with the daughter of one of P’s family’s neighbors whose father used to work at the Palace as a food taste tester (I know, one of those strange connections). The suspicious thing is—when Gyanendra took over as king he dismantled the house in the garden where the massacre took place—brick by brick. All that is left is an outline of the house on the ground. A few bullet holes still mar parts of the garden wall but everything else is gone. It makes me wonder what he was hiding. As I’m sure many, if not all, of the readers of this blog already know, on Sunday (evening Nepal time, morning US time) there was an earthquake in Nepal and Northeastern India. Although much of the damage attributed to this earthquake was centered in Indian Sikkim, buildings shook in KTM, toppling over a wall at the British embassy—a wall I used to walk by everyday on my way to Nepali language class–killing three. Many Nepalis in diaspora probably heard about the earthquake in the same way that P did, through instant updates on Facebook and Twitter. It took an hour or so for news broadcasters to catch up and start posting pictures and reports. By mid-morning P saw a Facebook status from a friend back in KTM that said, “I hope I’m alive tomorrow morning” meaning people were still afraid about aftershocks, and building integrity. As with Haiti, many of the buildings in Kathmandu are made of concrete and cinder block, with very little “earthquake proof” reinforcement. Additionally, the population of the Kathmandu valley has literally exploded in the past decade due, in part, to villagers flocking to the city in the hopes of escaping the Maoists/army violence in the countryside. Since the KTM valley is pretty well defined topographically, the city doesn’t have a lot of room to expand outward. Thus people are claiming more space for themselves and their families by building upwards—now you sometimes find very skinny tall houses to save on space. A quake of significant magnitude has the potential to absolutely devastate the densely populated city. Also similarly to Haiti, political turmoil, lack of current infrastructure, a small national airport with one landing strip, and few roads leading to current medical facilities could further complicate rescue efforts. At least Haiti, as an island, allowed medical ships from the US to medi-vac severely injured patience to overcrowded floating navy hospitals. Landlocked Nepal would have to fly victims to India or Pakistan, if anywhere at all. In a 2007 MSN/Forbes article called “The world’s most earthquake vulnerable cities” a nonprofit research group called GeoHazards International ranked Kathmandu Nepal the most vulnerable, followed by Istanbul (Turkey), Manila (Philippines), and Islamabad (Pakistan). Without vastly expanded efforts to change construction practices and educate people, from mayors to masons, on simple ways to bolster structures, [Roger Bilham, a seismologist at the University of Colorado] said, Haiti’s tragedy is almost certain to be surpassed sometime this century when a major quake hits Karachi, Pakistan; Katmandu, Nepal; Lima, Peru; or one of a long list of big poor cities facing inevitable major earthquakes. …Amrit Man Tuladhar, head of the Nepal government’s earthquake preparedness programme, admits [building] regulations are often ignored, and says the older buildings in Kathmandu are a cause for concern. “We believe more than 80 percent of old buildings could collapse,” he said. Another reason P’s friend’s facebook status sounded so ominous. Earthquakes put people in the Himalayan region on edge. I hope that mother nature has gotten all of her shaking out of her system for the time being. Do You Have Old Nepali Money? 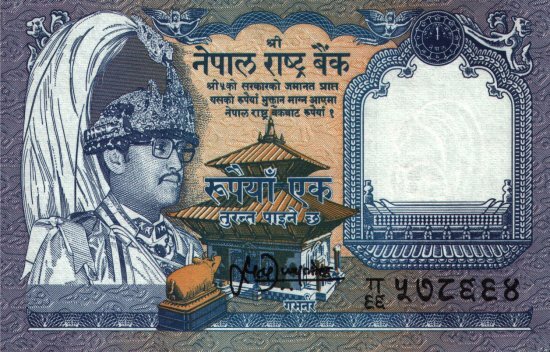 According to a BBC article today the old Nepali currency with a picture of deceased King Birendra of Nepal went out of circulation yesterday (March 15). The new currency has pictures of Mount Everest. Banks in Nepal estimate that 10 billion rupees (US$135 million) has yet to be exchanged. There are a few weeks left to do so. Good thing I used my spare change at the Tribuvhan airport to buy a snacks and a refrigerator magnet in 2009– because by the time we get there in 2011 my rupee notes may no longer be considered legal tender! “He left Cairo for Sharm el-Sheikh. The army’s taken charge,” she said. No one at that Feb. 11 party, neither the foreign-educated Nepalis nor the expatriates who call Nepal home, had any connection to Egypt. Yet the victory felt personal. A bottle of wine appeared and we toasted Egypt. As protests spread in Bahrain, Yemen, Iran and Libya, what is emerging as the “Arab Spring” continues to resonate here. Just five years ago, the world was watching Nepal as it now watches the Mideast and we had our dreams of democracy. “I don’t know why, but I love to see people revolting against their leaders,” Jhalak Subedi, a magazine editor, wrote on Facebook. We also approach world events seeking correspondences between our history and that of others. India’s struggle for freedom from British rule inspired Nepal’s first democratic movement in 1950. Forty years later, our second democratic movement was energized by events farther off: the fall of the Berlin Wall and the end of communism in Eastern Europe. Our third and most recent movement took place in 2006, when democratic political parties and Maoist rebels united against King Gyanendra Shah, ending a 10-year civil war. Millions of Nepalis participated in nonviolent demonstrations in a show of support. Nineteen days after that, the king relinquished power; two years later, a newly elected Constituent Assembly abolished the 240-year-old monarchy with a near-unanimous vote. With the democratic political parties and the Maoists vowing to work together peacefully, a “new Nepal” felt attainable. Five years later, it still has not taken shape. Instead, we have learned that it is easier to start a revolution than to finish one. Overthrowing the monarchy was difficult, but institutionalizing democracy is harder still. Our democratic parties are inexperienced, deferring to “big brother” India on all matters political. But India has backed an inflexible policy of containing the Maoists. And the Maoists have also been unwilling to compromise, holding on to their 19,000-troop army and their paramilitary group, the Young Communist League, and refusing to turn into just another political party. The result has been a bitter polarization between hard-liners of democratic and Maoist persuasion. The May deadline set for finishing our new constitution is less than 100 days away, but the document remains in rough draft. The will to complete it — among the democratic political parties and the Maoists, as well as in India — appears to be wholly lacking. And now Kathmandu is rife with rumors that the Constituent Assembly — the country’s only elected body — will be dissolved through a military-backed “democratic coup.” Equally dismal scenarios in the public imagination are a return to civil war, the escalation of localized conflicts or the rise of the criminal underworld. Whether or not the worst comes to pass, it is clear by now that the democratic political parties and the Maoists prefer to prioritize their own struggle for power. They have left it to us to find our place in the world. This, we increasingly do by leaving. Unable to earn a living wage at home, up to 1,000 Nepalis are estimated to leave the country every day to work as migrant laborers in Saudi Arabia, Kuwait, Qatar and elsewhere in the Middle East and the Far East, often under very exploitative conditions. As many as six million Nepalis live in India, and hundreds of thousands more have migrated to the developed world. In London and New York and Toronto, Nepali is now spoken on the streets. “Those who could lead a new movement — you could call it the Facebook generation — have left the country,” says Mr. Subedi. And there is no single tyrant against whom to direct a movement. What we have in Nepal is a “ganjaagol,” a mire. “The thing about movements,” Mr. Subedi says, “is that at a certain point, the ordinary person experiences power. Beforehand and afterwards, nobody pays him any attention. But at a certain point, the ordinary person feels his own power. He does not complete his sentence, but we both know what he means. So many Nepalis have experienced this giddy sense that change is possible. For now, we watch others in the Arab world feel their power. We wish them well, and worry for their safety, and share in their victories. They inspire us. They make us feel wistful, and also a bit envious. I’ve discussed the problem of load shedding and power shortages in Nepal before. It’s a huge challenge, especially in Kathmandu, and one that really effects daily life. Imagine regularly not having electricity 12 hours or more a day! I’m not even talking about the practicality of using a computer, or charging a cell phone– but the basics, like having a refrigerator to keep your food from spoiling, or having a light to study for your exams and do your homework by in the evening. Perhaps one could imagine this as a problem in a village, but in the capital city? It’s truly remarkable, and sad. 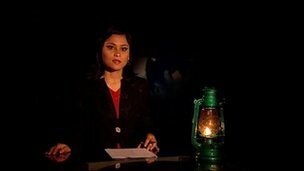 The BBC’s Joanna Jolly had an article today which highlights Nepal’s electricity problem– apparently the nightly news broadcast on Kantipur Television has started to present their show lighted only by a kerosene lantern. “We want the government to produce more electricity as soon as possible,” Kantipur News head Tirtha Koirala told the BBC. Mr Koirala said his television news bulletin would continue to be broadcast in darkness until the government responded. I say “bravo!” to the news for taking a stand. Two articles were forwarded to me today by readers that I thought I’d pass along. The second article comes from Sparkly Date Palm who I believe writes from Dubai. She sent a link from BBC about a woman who is “mother” to 35 children, whose own mothers are currently in prisons in Nepal. A colleague of mine sent me an article today from Tufts Veterinary Medicine Magazine about street dogs in Kathmandu. As many of you probably know from my Kukur Puja posts, P and I have a cute little dog named Sampson. He was also a stray dog at one point—in Puerto Rico— and now lives a pampered life of Snaussage treats, nap times, and belly rubs. A true “rags to riches” story. Anyway, the article discusses the problem of street dogs in Nepal claiming, “Ninety-five thousand dogs roam the streets of Kathmandu… equal to one-tenth the human population in that city…” and how Tufts Veterinary School professor Gretchen Kaufman has been working in the city since 2001 to help curb rabies outbreaks and spearhead spay and neutering programs. For other dog enthusiasts out there who may find such an article (just a brief two pages) interesting, I wanted to pass along the link—the article is HERE, but you need to scroll down to page 3 of the pdf. Oh, and while on the topic I guess, a little side story from P’s childhood… one of their neighbors growing up had a dog that bit P, and then died a month later. Both families weren’t sure if the dog had rabies, but since it died the doctors told P’s parents that he would have to get the rabies shots as a precaution. He had two choices– the more expensive option of three shots to the arm, or the less expensive option of 10 or 12 shots to the abdomen. Luckily P was able to go for the shots to the arm!